"A few years ago we didn't know if we would still have three domestic car companies," notes Karl Brauer, editor in chief of Total Car Score, a web site that ranks car models. Partly as a result of lower wage packages negotiated with the United Auto Workers during the 2009 crisis and bailout, the U.S. companies can now profitably make more cars here. Cars from U.S. companies - once laggards in quality and reliability - have made great strides in recent years. In the recently-released J.D. Power initial quality rankings, Cadillac was among the top five brands. And problems for Ford and other brands involving navigation and entertainment systems seemed more an issue of educating owners to use them than with manufacturing quality, Brauer notes. Cadillac CTS With the distinctive angular styling now the signature for Cadillac, the CTS also stands out for power and comfort. Reviewers praise the interior with luxurious materials and easy to use electronics. With a choice of V-6 engines rated at 16 MPG in city driving and 26 on the highway, the CTS combines power and sharp handling that makes it competitive with German luxury sedans. 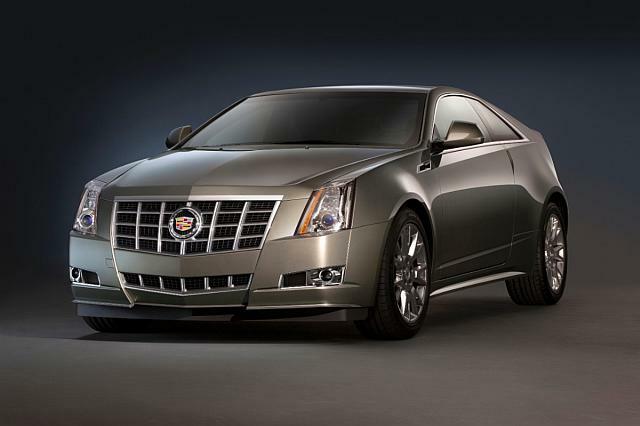 The CTS starts at a list price of $35,915 and ranges up to $50,306 for high-end versions. Buick LaCrosse LaCrosse is an early success in General Motors' campaign to move the image of Buick away from the traditional soft-riding big cars for elderly owners. Reviewers find the LaCrosse, starting at a list price of $30,170, a good value with luxurious features. In addition to its traditional V-6 engine, the 2012 LaCrosse offers a hybrid version known as e-assist with a four-cylinder engine paired with an electric motor. The e-assist model is rated at 25 MPG in city driving, 36 highway. Ford Flex Ford Motor Co.
Ford Flex Editor Karl Brauer cites the Flex as a good choice for a family vehicle where the parents want to avoid a minivan. The distinctive styling of the Flex may not be for everyone. But the Flex has a roomy interior and high crash test scores, and the list price starts at $29,355. Its V-6 turbocharged EcoBoost engine is rated for 17 MPG city, 24 highway. Chrysler 300 A hit from the start for its muscular styling, the updated 2012 model adds a new V-6 engine choice rated for 18 MPG in city driving and 27 on the highway. Reviewers say that the 3.6-liter power plant with a new eight-speed automatic transmission is a winning combination. Test drivers also like the interior and the standard tech features. Starting at $27,670, the 300 can range up to $47,670 for the higher trim levels. Ford Focus The Focus is part of a renaissance among American small cars in what used to be a dreary segment. Totally redesigned for 2012, the Focus is praised for its sporty handling and comfortable ride. Starting at $16,500, it comes in both sedan and hatchback versions. It is rated for 26 MPG city, 36 highway. Brauer points out that the Focus has especially attractive tech options that appeal to young buyers. In addition to cars from U.S. companies, a wide range of Asian and European brands offer cars assembled in U.S. factories, including long-time favorites such as the Toyota Camry and Honda Accord. But for this Fourth of July, the choice of car from U.S. companies made in America is better than ever.